Your people are your greatest investment and your greatest source of value. Let’s get them started on the right foot. 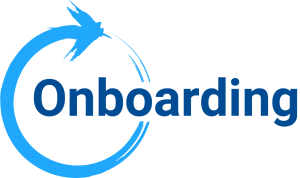 There are few events more critical to an employee’s success than the process of onboarding. Intelliworx: Onboarding is a Cloud based SaaS application, that is workflow driven, configurable, and seamlessly automates the onboarding process. We ensure integration to your organization’s systems (HRIS, LMS, Payroll, OPM) and access to the functional stakeholders involved in the onboarding process. Our solution has set the standard for how onboarding new talent should be handled. The Intelliworx Platform is designed to replicate and enhance your Onboarding process. We can help track and automate the tasks behind everything from scheduling training to assigning equipment and mentors so that your employees will be productive on day one! Use our Onboarding module by itself or integrate it with the rest of the Intelliworx Platform modules for a complete end-to-end employee lifecycle solution. All Intelliworx Platform modules use an attractive, intuitive, Section 508 compliant interface to gather information from new hires once. Information can be shared with other systems or used to populate a wide variety of digital forms which can be printed or shared with other systems of record. Automatic email notifications make sure relevant staff know when to complete a required onboarding task, ensuring an efficient onboarding process. Generate organization-wide reports on onboarding activities. The Intelliworx Platform can integrate and share data with a large number of 3rd party information systems, payroll providers, eLearning platforms and asset management systems. For U.S. Federal Government Agencies, Intelliworx: Onboarding can also integrate with OPM’s eOPF system and other government shared service centers. We bring value to your agency or company by creating solutions that automate and improve any type of business process.